Can you describe the differences between these consecutive posts? Is one counting bossier and the other not? 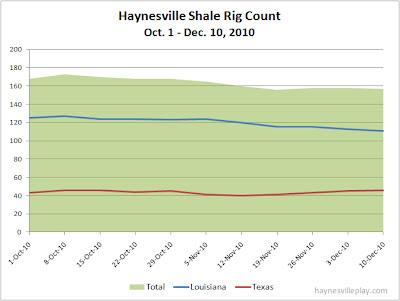 "The Haynesville Shale rig count continued to decline this week, dropping by two rigs to 157." "In the Haynesville Shale region, inclusive of other formations, the rig count dropped by five to 179"
Sorry if that's confusing. 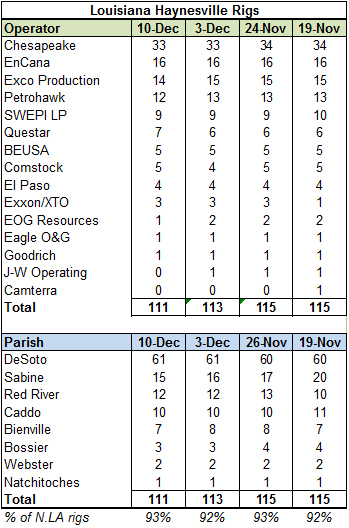 The first post ("HS region" at 179) is the total number of rigs in N LA and E TX where the HS is located. It is raw data collected by Baker Hughes and does not discriminate between Haynesville, Cotton Valley, James Lime, Travis Peak, etc. 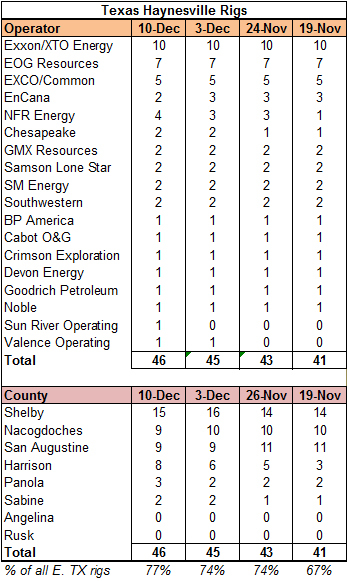 I post this information because it might take be a day or two to post the actual Haynesville/Bossier count. 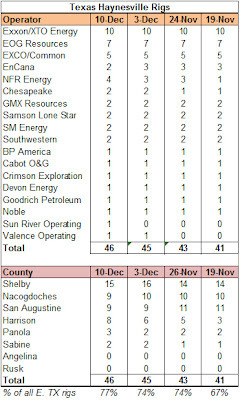 The second count is specifically Haynesville and Mid-Bossier Shale wells. I go through the list of every well to determine its target. That is the specific count about which I feel very comfortable. 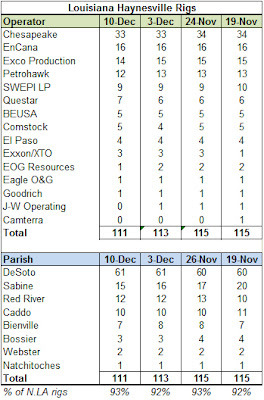 In the ticker at the top of the page, I use the raw number of north LA wells for two reasons, #1 because +/- 92% of the wells in N LA target Haynesville Shale, it is a good proxy for Haynesville activity, and #2 I have only been doing the detailed rig count for both TX and LA since mid-January 2010 so I haven't accumulated 12 months of data for reference. 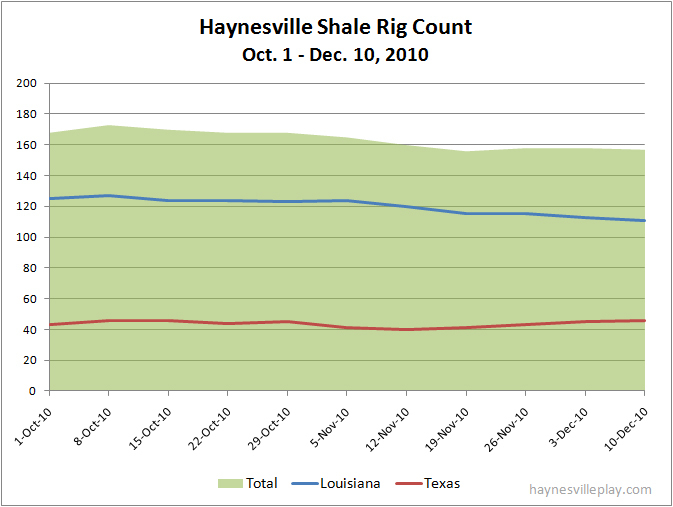 Next month I will switch and start to follow only Haynesville wells in the ticker.